There’s no doubt Sydney’s prices are continuing upward, but how do you navigate your way as a buyer or seller? This edition we look at what’s driving growth and how take advantage of these hot conditions. Sydney’s median house price is fast approaching $1m and some experts predict we may reach this by the years end if current demand continues. Domain Group report that Sydney’s median is now at $914,000 with a 3.6% increase in the March quarter. This takes the year on year increase to 16%. Over the March quarter, the median unit price also increased by 1.2 per cent to $610,000 (up 9% for the year). Perth is experiencing a price decline as weaker resources activity moderates economic growth and its median house price has declined 2.8% over the year to $600,000. The Melbourne market is showing positive signs of rebounding with prices up 6.6% year on year with median house price at $638,000. Brisbane, Adelaide and Darwin were the other capital cities to record increases in median house prices over the past year with Brisbane at $484,000, Adelaide $477,000 and Canberra $599,000. Dr Andrew Wilson (Senior Economist, Domain Group) predicts that Sydney will continue to lead price growth while other capital cities will see moderate house price growth. Overall growth is likely to track local economic performance driven by a low interest rate environment. One of the biggest challenges for the real estate market is the lack of listings. Recent figures from RP Data below show that total listings in Sydney is currently down around 14% compared to a year ago. This has a dramatic impact on prices and the competitive nature of buyers (and agents desperate to chase the next listing)! Falling listings means rising asking prices and sales results. The RBA’s decision to reduce interest rates last week to another historic low of just 2% adds further stimulus to the property market that is largely investor driven. But remember that other parts of the economy are not going so well due to declining commodity prices and hence the need to reduce rates. 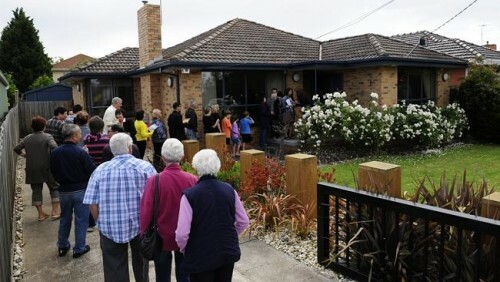 Auction clearance rates reached record levels the past few weekends at 89.2% according to APM. Buying at auction in this market is like being in a horse race and continually getting “pipped at the post”. However, we have had some good success for clients at auction recently on the North Shore and purchased just below our appraisals. So what is driving the Sydney market? Growth will moderate at some point – it’s just hard to predict exactly when this will happen. Cameron Kusher from RP Data suggests that relatively low consumer confidence, stricter serviceability requirements for borrowers, tighter lending conditions for investors, affordability challenges and low rental yields are key factors that may contribute to the moderation in housing market conditions over 2015. But back to the reality of the Sydney market, did you know the average time on market for both houses and units is just 27 days! In the premium suburbs this figure is even lower. Some auction campaigns are just three weeks (instead of four). Many properties are being sold after the first open house. The key message is you have to be prepared to move quickly. For many people this is a deterrent to selling their home or entering the market as a buyer. If you have ever visited Universal Studios or Disneyland, you would know there is a special ticket called “Front of Line Pass” which you can buy this ticket to get to the front of queue for every ride and attraction. I did this last year on a family holiday and found it made the visit so much more enjoyable for the extra few dollars. Did you know you can also get the same kind of experience buying a home in the Sydney property market with the help of one of our local buyers' agents? Rather than rushing around the inspections and continually missing out at auction wouldn’t you rather have a professional buyers' agent sourcing both on and off market opportunities and then advising the right price to pay. Our team will get you to the front of the queue. So how do you respond to this market? You can either sit on the sidelines or watch prices continue to climb, rush in and overpay, or get educated and make a smart purchase to create equity growth. Call or friendly team today on +61 2 9975 3311 or email your wishlist to discuss your requirements to give you the edge in this competitive market and put you at the front of the property buying queue. Sarah, you are warmly invited to next seminar looking at ways to improve your wealth position in the coming financial year. Around this time of year it’s timely to take stock of your current financial and tax position and look at ways to improve your financial fitness in 2016. In this seminar we will be discussing specific strategies that you can use as a savvy investor to create the ultimate tax effective structure for your personal situation. With three experienced speakers covering the property, finance and tax in one evening - you will walk away with the essential tools and know-how that successful property investors use. Which way for property markets? How long will this growth period last? Rich is a buyers’ agent, property investor and professional economist with over 19 years experience in the property industry. He is a research expert and highly skilled in investment analysis and negotiation techniques that can deliver real savings for his clients. Rich and his team have purchased over 1900 properties for their clients. As Australia’s leading Buyers' Agent, Rich has won 25 major awards including the prestigious National Telstra Business award in 2007 and also named the winner "Best Buyers' Agent in Australia" by the Real Estate Institute of Australia (REIA). Having been a commercial accountant for over 28 years with major international assignments Ken Raiss moved into professional accounting in 2004 when he joined Chan & Naylor as a Partner – now Managing Director, he assisted in its major expansion to becoming Australia’s Fastest Growing and Top 100 Accounting Firm (BRW 2007, 2008, 2013) specialising in financial services for property investors and business entrepreneurs. Doug Daniell is a mortgage broker and licenced real estate agent with over 20 years’ experience in the property and finance sector. Over that period Doug has arranged over $1bn in home loans to fulfill home buyers’ and investors’ real estate financing requirements. Many of his clients have then benefited from his experience and knowledge to progress from saving for their first home to owning several investment properties. Doug gets great satisfaction from seeing somebody pay off their home loan and then helping them to progress from first a home buyer to becoming a sophisticated investor with multiple investment properties.